Since yesterday, we have finally started our video interviews for our SG50 Project on Infectious Diseases and Singapore. The interviews are filmed by a team from Campus TV from Ngee Ann Polytechnic, who will also produce the documentary. We are immensely indebted to our interviewees, all of whom have agreed to give of their valuable time and experience, in some cases braving the camera despite their aversion to being in the spotlight. Dr. Jeremy Lim – Oliver Wyman. Prof. Lee Hin Peng – School of Public Health, NUS. Prof. Chia Kee Seng – School of Public Health, NUS. Dr. Wong Sin Yew – Gleneagles Hospital. Prof. Sonny Wang – TB Control Unit. 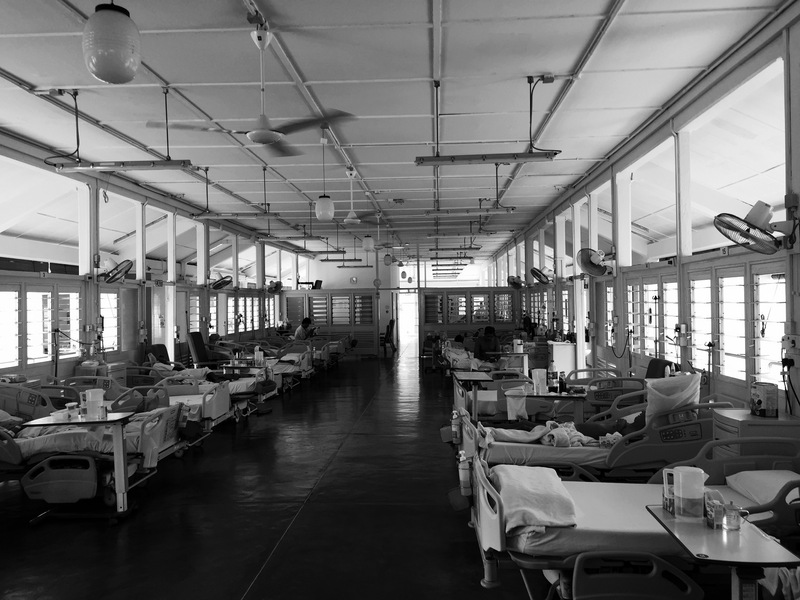 Ward 75 – one of the last old-style Nightingale wards in Singapore today.